The methods artists use to reach their goals and become superstars are quite different now compared to the old days. 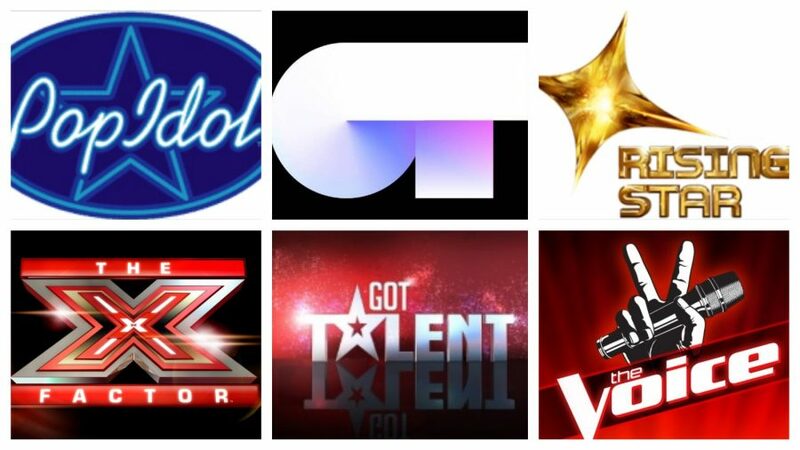 Now we have a lot of talent shows as X Factor, the Got Talent series, Pop Idol, Star Academy, Rising Star, The Voice and many others where ‘regular people’ easily can become artists and gain big popularity basically over night. Over the years, lots of countries have started looking for their Eurovision entries through these talent shows, and this year no less than four countries are going to pick their act in a talent show – Malta through X Factor, Georgia in Pop Idol, Spain in Star Academy (Operacion Triunfo) and Israel, as usual, in Rising Star. One could also say that participants of any of these talent shows then see participation in their Eurovision selections, and Eurovision itself as the next step in their careers. In this article we are going to look at some of the former Eurovision artists who became famous through talent shows such as these, others who first represented their nations in Eurovision only to become a talent show contestant afterwards, and to see what is the connection between the two. Among the 10 latest winners of the Eurovision Song Contest, more than half of them competed in a talent show. We can start off with our ruling champion of the Eurovision Son Contest, Netta who won the contest in Lisbon in May. She competed in the Israeli talent show “Rising Star” (HaKokhav HaBa) with her first performance in September 2017. As Israel usually use “Rising Star” to select their artist to Eurovision, it is no need to point out that she went on to win the 2018 season of both “Rising Star” and also the whole Eurovision 2018. What might come as a surprise for many, is that Salvador Sobral become famous through a talent show. During the season 3 of Portuguese Idol, Salvador Sobral made it all the way to 7th place in the live shows. Also his sister Luisa Sobral, who wrote “Amar pelos dois”, entered the competition’s first season back in 2003. Sweden is huge when it comes to finding artists through Idol, who later on enter Melodifestivalen. One of them is Måns Zelmerlöw who auditioned for Swedish Idol in 2005 and ended up in 5th place that season. Already two years later, in 2007, he entered Melodifestivalen for the first time with the song “Cara Mia” which came in 3rd in the grand final in Stockholm. Since then he has had various entries in Melodifestivalen as well as hosted the show in 2010 together with Christine Meltzer and Dolph Lundgren. He of course also won Eurovision in Vienna in 2015 with the song “Heroes” and also went on to become the host in Stockholm 2016 together with Petra Mede. In 2014 Austria triumphed in Copenhagen with Conchita Wurst and her hit “Rise Like A Phoenix”. Long before Eurovision, Conchita took part in the Austrian talent show Starmania, as Thomas Neuwirth, back in 2007, and finished in second place. In 2011 he was back in another talent show called Die große Chance, this time as Conchita Wurst, and finished in 6th place in the Final. In 2010, Germany organized a talent show in order to find their star for Eurovision. And did they indeed! Lena wowed the German public, and made a historical success in her country – her three songs from the Final of the talent show “Unser Star für Oslo” all charted in the top five of the German singles chart reaching positions one, three and four. Her chosen song “Satellite” as we all know went on to win Eurovision 2010 and become a hit all over Europe. In 2009, Norway won Eurovision for the third time with Alexander Rybak with a record breaking number of 387 points, which remains the highest amount of points one received with the old voting system which was used from 1975 to 2015. Alexander entered Norwegian Idol in 2005 and also won “Kjempesjansen” in 2006, which was a talent show similar to Idol, produced by NRK. Lost of Eurostars found fame in their countries by taking part in one of the talent shows, and then took the opportunity to represent their country in Eurovision, as their next career step. To name a few, Jüri Pootsmann won the Estonian Idol, Eesti otsib superstaari, in 2015 and later went on to win Eesti Laul 2016 with the song “Play”. Francesca Michielin who represented Italy in Stockholm in 2016, won the Italian X Factor in 2011. Elhaida Dani who represented Albania in Vienna in 2015 also won the very first edition of The Voice Italy in 2013. Margaret Berger who represented Norway in Malmö 2013 with the song “I Feed You My Love”, came 2nd in the Norwegian Idol in 2004, which was also the same year/season as Maria Haukaas Storeng came in 6th. She represented Norway in Belgrade 2008 with the song “Hold On, Be Strong”. András Kállay-Saunders came 4th in the Hungarian talent show Megasztár in 2010, and later went on to represent Hungary in Copenhagen 2014 with “Running” and came 5th in the Final. He is now back in Hungary’s A Dal as one half of the band The Middletonz. Australia’s four Eurovision entrants up-to-date all started their careers in talent shows – Guy Sebastian and Jessica Mauboy in Pop Idol – Guy won it in 2003 whilst Jessica came 2nd in the 2006 edition. Dami Im and Isaiah come from The X Factor – Dami Im won it in 2013, whilst Isaiah won it in 2016). The Spanish star Ruth Lorenzo found her fame in the United Kingdom first, when she took part in the X Factor UK in 2008, and finished in fifth place. Six years later she finally got her chance in her home country as well, when she went on to represent Spain in Copenhagen with “Dancing In The Rain” and finishing 10th – which was Spain’s best result since 2003. But the queen of talents shows (and of second places) is most definitely Saara Aalto, who first entered The Voice Finland in 2012 and finished second, and then entered the X Factor UK 2016, where she placed 2nd again with Sharon Osbourne as a mentor. Needless to say that she had entered the Finnish Eurovision selection UMK twice in between, and came second in every occasion. Even after artists compete in the biggest music competition in the world, some of them opt to then try their luck in a talent show as well. To name a few, Brendan Murray, Cezar Ouatu, Glennis Grace, Lidia Isac competed in Eurovision before they entered any of the talent shows. Brendan Murray represented Ireland in Kyiv with the song “Dying to Try” and ended up 13th in the semi final, whilst Cezar represented Romania back in 2013 with “It’s My Life” and finished 13th. Both of them appeared in this year’s edition of the UK X Factor – Brendan Murray came in 5th, while Cezar got eliminated in the Six Chair Challenge. Lidia Isac represented Moldova in Stockholm in 2016 with the song “Falling Stars” and ended up 17th in the semi final. She then entered The Voice in both France, and in Romania. She entered The Voice France in 2017, where she reached the second stage of the competition – The Battles. The same year she entered The Voice Romania, but had more luck, as she got to the best 32 before getting eliminated. Glennis Grace represented her home country The Netherlands in Eurovision 2005 with “My Impossible Dream”. She was the first ever artist from the Netherlands who failed to reach the Eurovision Final. Nevertheless she released five albums after Eurovision, and then earlier this year decided to enter America’s Got Talent. She made it to the Final, but failed to get into the top five. When the talent show is tailored specifically for Eurovision – what’s next? Malta, Georgia, Israel and Spain are all organizing/using talent shows to select their entrant(s) for Eurovision. Do any of the artists stay in the music scene, and manage to build great careers? Some of them do! Spain is the perfect example of organizing Star Academy (Operacion Triunfo), and then select their Eurovision entry via this show – they have done this four times in the past, and they are doing the same next year. Even in the years when they didn’t use this format for selecting their entrants, former OT participants still went on to represent Spain (ie Soraya in 2009, or Edurne in 2014). Rosa, the winner of the very first Operacion Triunfo failed to bring the victory that all the Spanish viewers expected, and finished in 7th place. Since then, she released a total of nine albums – four of which went gold, one went double platinum, and her very first one went 5x platinum. Rosa also went on to compete in the Spanish version of Strictly Come Dancing in 2006, and won this competition as well! One can conclude that the vast majority of talent show contestants see their countries Eurovision selections, and taking part in the Eurovision Song Contest itself as the next step in their career and a break-through to European audiences. Success in Eurovision would probably bring them a much lasting career in their country, and hopefully in various other countries in Europe as well. Which former talent show contestants in your country would you like to see go on to take part in Eurovision as well? Let us know in the comment section below, or on our social media pages.